A San Diego genomics giant is acquiring a San Diego genomics startup. Does it get any better than this? 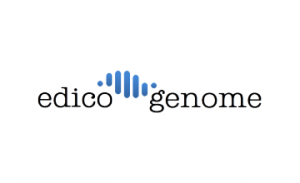 Recent #SDinUK delegate company and biotech startup Edico Genome has been acquired by local genomics giant Illumina in a deal worth $100 million. Edico Genome’s DRAGEN Bio-IT technology uses field programmable gate array chips in conjunction with proprietary software algorithms for rapid analysis of genetic data produced by DNA-sequencing machines. It means the time it takes to sequence your genome is drastically expedited. “Our acquisition of Edico Genome is a big step toward realizing the vision of reducing sequencing data acquisition and analysis to a push-button, standardized process,” said Susan Tousi, SVP of product development at Illumina. The San Diego roots in this deal run strong. Like many great San Diego startups, Edico Genome was a graduate of local incubator EvoNexus. It has also received funding from Qualcomm Ventures. President and CEO Pieter Van Rooyen was also a co-founder of EvoNexus alum EcoATM prior to working with Edico Genome. Earlier this year, on the heels of EDC's 2017 U.K. trade mission, Edico Genome and Genomics England announced a partnership to strengthen the accuracy and consistency of next-generation sequencing (NGS) data analysis in Genomics England’s Rare Disease Pilot.